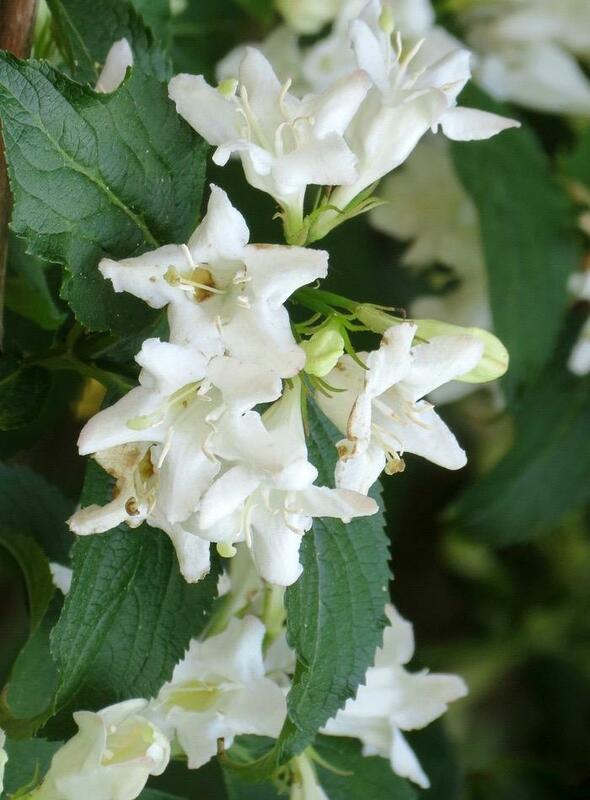 Semi arching branches cladded with clustered white funnel shaped flowers, May to June. Sun or semi shade. 2m tall. Happy on most soils. Prune after flowering.